Please contact us through the form below, or send us a email. We will respond to your request as soon as possible. Long weekends and public holidays: 50% refund on the full value of the booking, once we have re-booked the unit for the same number of days. 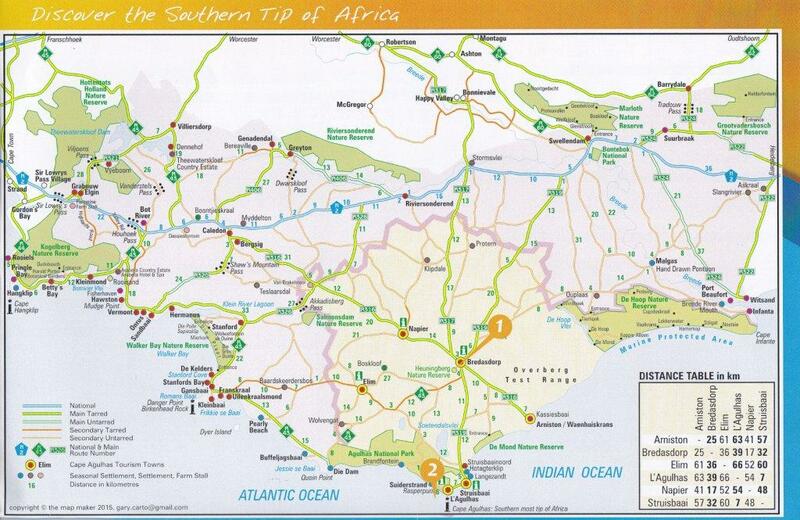 Take the N2 over Sir Lowrys pass to Caledon, turn off at Caledon and follow the R316 to Napier and Bredasdorp, then follow the R319 to L'Agulhas. Take the N2, 10Km after Swellendam, turn left onto the R319 and follow it all the way through to Bredasdorp and then on to L'Agulhas. 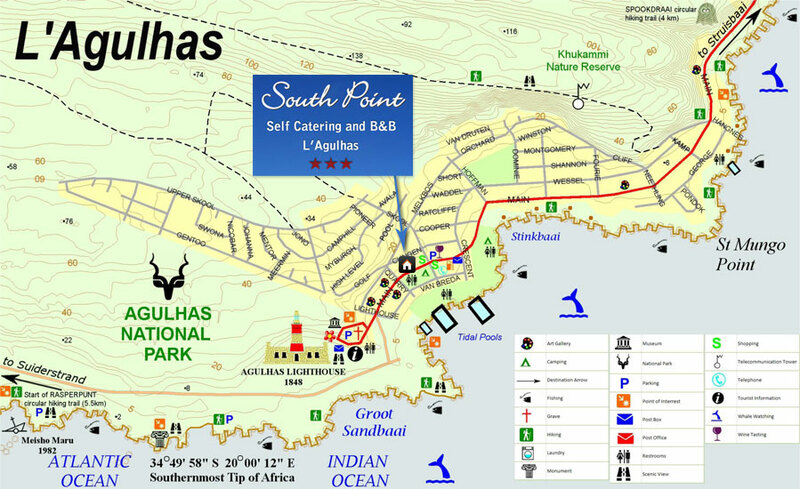 We are situated on the right hand side of the Main Road, 100 metres before the Lighthouse.